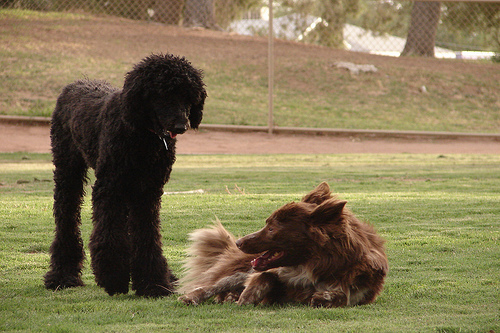 Tucson, Arizona, has six off-leash dog parks all around the city. All of them are free to use. You are expected to follow the rules of the Tucson Dog Parks. You are responsible for all of the actions of your dog. You must only open one gate at a time when you enter or leave any of the dog parks. Children under 10 must be accompanied by an adult, and cannot be left unattended. You must be within the premises of the off-leash dog parks so long as your dog is playing in them, and must be in reach of your dog in case anything happens. 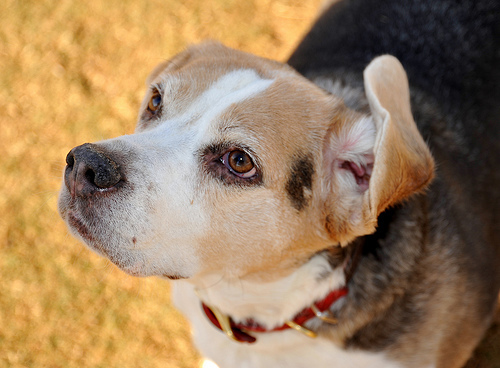 All dogs must wear a collar with a Pima County license, and be up-to-date with their vaccinations. Once you leave the off-leash designated area, you must leash your dog, even if you are just in the parking lot. Aggressive dogs are not permitted; dogs that show signs of aggression must be escorted out. Dogs in heat or that are ill are not allowed in the off-leash areas. Puppies must be at least four months old to go into the off-leash areas. Dogs must follow their owner’s commands. Dog owners are responsible for any holes that their dogs dig into the soil. This park is located in the Northwest section of Tucson. It is lighted and takes up 14,000 square feet. It opens at dawn, and closes two to three hours after dusk. It features a dog drinking fountain, scrambling area, shaded area, and a scooper dispenser. It is located in the greater Christopher Columbus Park. This park is located in Midtown Tucson; you should use the Picnic Place or Concert Place entrances off Country Club to get in. It is open from 7:00 AM-10:00 PM daily. It is lighted, fenced, and has three double entry gates, large turf areas, separate areas for big and small dogs (2 acres for each), water fountains, a scooper dispenser and tables for humans. This park takes up 38,000 square feet with a gravel surface. There are separate fenced areas for big and small dogs, as well as lighting, picnic tables, drinking fountains and a scooper dispenser. It has double entry gates for each side. It is open from 6:00 AM-10:30 PM daily. It is not the most popular park because it doesn’t have grass or turf. It is located in the East part of town. This fenced park has tables, a wash area and a double-entrance gate. It is across from Northwest Center and Mansfield Park. It is in the North part of town. This park is one acre in size, and is located in the Northeast part of town. It features a turf area, trash cans, a seating area, and water. It is open from 6:00 AM-10:00 PM. This is a small dog park that has a separate small dog area. It is located in the Northwest part of town. I read about a new dog park called “Laughing Dog” but do not know where it is located. Do you? Darlyne, there is a DOG PARK near River & Pontatoc with an entry from the Rillito (N side of Rillito River Park, E of Alvernon) called SMILING DOG RANCH. It is one of 5 dog parks maintained by Pima County. 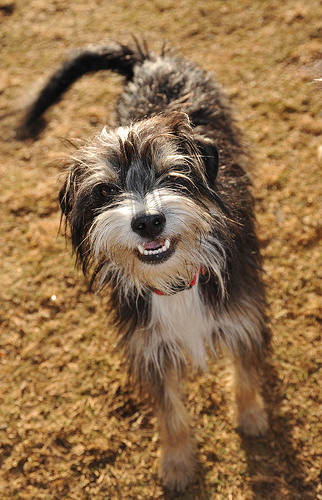 The City of Tucson has its own group of 8 dog parks which is what this website is all about. Want to find a dog park that is close to my home. My zip code is 85730. I have a 5 month old german shepherd that needs to run around. Why aren’t there more dog parks in Tucson and surrounding areas? Dog need to run and play in a safe place. Also why aren’t little wadding pools provided in any of these few parks?